Early Bird Registration Deadline Reminder! CLASSeminar - November 12-13 in Nashville, TN. "The Art of Effective Public Speaking"
Get your book published in 2007! Kingdom Publishing Group, Inc. Sponsors: THE CHRISTIAN WRITER'S CONFERENCE 2008!!! To culminate, a panel of professionals in the publishing, marketing, media, and business industry will offer dynamic resources and answer your questions. All sessions are taught by highly qualified, experienced, professional and God-called faculty and published authors. "Styles & Techniques of Writing"
"Marketing & Promoting Your Work"
"From Faith to Faith & From Glory to Glory"
Philip Jordan, Author, "Make Winning Happen"
Between the Rainbows of Life"
8:30 am - 11:30 am "The Christian Writer 101"
Breakout 1A "Styles & Techniques of Writing"
Breakout 1B: "Marketing & Promoting Your Work"
Breakout 2A: "The Business of Self-Publishing"
Breakout 2B: "Marketing & Promoting Your Work"
HURRY! Early Bird Registration deadline for Marlene Bagnull's Writing Seminar in Seaford, VA is December 31, 2007. Early Bird Registration is $89. Regular Registration deadline is January 26, 2008 with a price of $99. After January 26, 2008 and at the door registration is $109. To register for this seminar, go to Marlene Bagnull’s Web site at http://www.writehisanswer.com/ and then to the link Writing Seminars. We're pleased to announce the only Writer's Digest competition exclusively for poets! Regardless of style—rhyming, free verse, haiku and more—if your poems are 32 lines or fewer, we want them all. Entry Deadline: Thursday, December 20, 2007. For entrants paying with a credit card, we will accept entries submitted online. Eleventh Through Twenty-Fifth Place: $50 gift certificate for Writer's Digest Books. * The names and poem titles of the First through Tenth-Place winners will be printed in the August 2008 Writer's Digest, and winners will receive the 2008 Poet's Market. The following market has been initially screened by CWGI (Christian Writers Group, Inc.), but RCWW and CWGI cannot guarantee the company's validity. We encourage you to investigate markets thoroughly before submitting. Power Publishing is a Midwest publisher of books that make a positive difference in the lives of our readers. We are CURRENTLY SOLICITING MANUSCRIPTS. We seek inspiring/motivatin MANUSCRIPTS. We seek i MANUSCRIP manuscripts across a variety of genres including nonfiction, fiction, children's books, and textbooks. If you have a manuscript you would like to submit, please visit us at www.powerpublishing to submit, please visit our easy submission guidelines and find more information about us. Air of Truth, now would be the perfect time to purchase a copy for a gift as the holidays approach. This is a one-time invitation sent by Tate Publishing at the request of the author. There is no need to reply to this email. Kingdom Publishing Group, Inc., the areas leading publisher and producer of Christian books and music, seeks a part-time Administrative Assistant to support its book and music division. This part-time position is 15 hours per week (T, W, R) from 9:00 am to 2:00 pm. The successful candidate will be responsible for handling all administrative aspects of the company to include: assisting authors and musicians with needed services, answering phones, scheduling appointments, handling written correspondence, ordering supplies, setting up meetings, maintaining databases, etc. Must be proficient in MS Office, have EXCELLENT communication skills (both oral and written), and pay close attention to detail. We are seeking a Christian Professional who can be sensitive to the mission of the company and the needs of our clientele. A High School Diploma with at least 2 years office experience is a must. College degree or equivalent education and experience preferred. This is a great opportunity for growth and advancement with a growing company. Interested persons may submit their resume, letter of interest and salary requirements to: Nina L. Wells, Executive Vice President, Kingdom Publishing Group, Inc. Documents may be sent via e-mail to: info@kingdompublishing.org, or via fax to 804-515-9101, or via postal mail to: 6001 Lakeside Avenue, Suite 25, Richmond, VA 23228. Just a quick announcement that I'm launching my new blog that will focus onsome of the latest marketing information for Christian writers. Please check itout and let me know what you thin--and if you have some suggestions formaking it more helpful for your marketing needs. I may eventually release materialon a certain day of the week (and will let you know), but for now I will beposting nearly everyday so stop by regularly to see what's new. Blog:_http://stuartmarket.blogspot.com_/ (http://stuartmarket.blogspot.com/) . Our mission is to build a legacy for adult and children literacy that willlast forever. Our goal is to foster an inspiring event that will bridge the gap between aspiring writers and literary experts, who have exercised their craft in the publishing industry. The conference is sponsored by various business partners and organizations. The writer’s workshops and book expo is supported by authors, editors, publishers and experts who will share their experience and success. Inspired by our staff, we hope to encourage valuable networking opportunities and promote Christian fellowship. Together we will raise a level of awareness and equip aspiring writers to face the challenges in the literary marketplace. If we succeed in raising awareness, writers from abroad and within the local community will be the recipients of our efforts. P.S. Please let me know if there's something we could do for you. Please send me an email if you do not wise to be included on our distribution list. FIRST FRIDAY BOOK CLUB AT CROSSROADS will meet at Crossroads Coffee and Ice Cream, 3600 Forest Hill Avenue from 10:00am until 11:30/11:45 in the small room. This month we will be sharing our favorite hymns and their stories from the book THEN SINGS MY SOUL (150 of the World's greatest Hymn Stories) by Robert J. Morgan. Ours is an inspirational book club and we are blessed by sharing and discussing Christian books. Each month the book also serves as a spring board for discussing the ideas within the book and relating to life experiences and lifting up Christ. ANGELS by Billy Graham will be the book which we will be discussing for the December meeting (December7). If you feel led to join us any first Friday please do. If you have any questions call Susan Herring at 272-1124. The upcoming CLASSeminar will be held November 12-13 in Nashville, TN. The investment in this training is $400. Call CLASServices at 800.433.6633 by October 12 to get this early registration price. For more information visit www.classervices.com or call 800/433-6633. Entries are being received for the 2007 Will Rogers Writing Contest. Sponsored by the National Society of Newspaper Columnists, the contest is open to writers everywhere who are interested in the writings of Will Rogers. Authors of entries that best reflect the Rogers style of writing will be awarded cash prizes. The first place winner will receive an award of $200. The prize for second place is $100 and third place $50. An entry consists of an essay of 500 to 750 words (maximum) written in the style of Will Rogers. Detailed rules and information may be found at the NSNC Web site www.columnists.com or at www.willrogersok.org (click on What's New? and scroll down to the September 2007 newsletter). The deadline for receipt of entries is October 1. Our next meeting will be September 16, 2007, 2:00 to 5:00 p.m. at Grove Avenue Baptist Church (one block south of Patterson Ave. on Parham Rd.). NOTE: Enter the rear entrance on the Parham Road side of the building. Look for the elevator on your left, go to 2nd floor, turn right when getting off the elevator, go to Room 211, second door on your right. Note new room number. Since her studies with the London Academy of Music and Dramatic Art, June Keene, has maintained a deep respect for the affinity between the written and spoken word. In her workshops she asserts they are not disparate disciplines but as indivisible as two sides of a coin. At the September meeting June will present “Simple Speech and Presentation Skills”. The special emphasis for writers will be : (1)tips for podium preparation; (2)utilizing punctuation for smooth, expressive phrasing; (3)how to measure the audience for effective voice projection. Bring your pen and pad. From 4:00 to 5:00 we will listen to readings and do critiquing. Bring something brief to read that does not require feedback. If you have material to be critiqued, bring about 10 copies, typed, double spaced. We will listen to and critique as many as time permits. Dues, in the amount of $10.00 will cover membership from July 1st through December 31, 2007. They may be paid at our monthly meetings or mailed to: Richmond Christians Who Write, 12114 Walnut Hill Drive, Rockville, VA 23146. I look forward to seeing you on September 16th. Bring a friend; they’ll appreciate it. Our next meeting will be August 19, 2007, 2:00 to 5:00 p.m. at Grove Avenue Baptist Church (one block south of Patterson Ave. on Parham Rd.). NOTE: Enter the rear entrance on the Parham Road side of the building. Look for the elevator on your left, go to 2nd floor, turn right when getting off the elevator, go to Room 211, second door on your right. Note new room number. Last year I attended a creative nonfiction writing class. The instructor assigned a subject. We were to write 500 to 1000 words on the subject. I don’t know of any other single writing exercise that has helped me more with my nonfiction writing. Fiction writers were also helped. Recently we listened to Barbara Baranowski relate how a previous writing assignment challenged her and ultimately ended up in an article that was published nationally (from which she received calls from readers from all around the country). Plus she got paid for having fun writing it! I related how an article I had written has been shared with a seniors group as a devotional challenge and later preached from the pulpit of a local church. We do not know the potential of what we write for fun! Write 500 to 1,000 words on the subject: Letting Go. At our August meeting we will read as many as time permits. If we do not have a lot of critiquing to do from 4:00 to 5:00 we will use that time for additional readings. Richmond Christians Who Write, 12114 Walnut Hill Drive, Rockville, VA 23146. I look forward to seeing you on August 19th. Bring a friend; they’ll appreciate it. Librarians Want to See Your Book at the 8 Fall Library Shows! The Combined Book Exhibit Fall library shows are here and now is your chance to display your title at some of the best library opportunities for exposure, sales and increased recognition. These state and regional shows occur just once a year and include California, New York, New England, the American Association of School Libraries and many more awesome shows. Time and space are running out so don't wait to be a part of these fantastic shows starting at just $80.00 per title...enter now! These hugely popular shows display your items to the top library buyers, distributors, wholesalers, foreign rights agents and publishing professionals as they gather for these incredible fairs. These are the final weeks to register your book/DVD/CD/Audio Books/Gift Items etc. for this year's displays as the DEADLINES are closing in! You can also call me, Andrew Parvel at 1.800.706.4636 x 1004 to register by phone. There are just 8 Combined Book Exhibit library shows remaining for 2007 and you can be a part of them all at the lowest prices available! And, as an added bonus, we're waiving the $125 membership fee normally required. Click the link to see the entire list of prices, show information and registration forms! Or, call me at 1.800.706.4636 ext. 1004 to register by phone. Get your spot in the Jenkins Group / Combined Book Exhibit displays before they’re gone! Now is the time as limited spaces available! Exposure at these shows is critical to help promote books, CD's, DVD's, videos or sideline items. Here is your opportunity to represent your items at the biggest and best shows around the globe. With eight of the best library shows remaining in the 2007 display schedule, there is something for everyone. We're also offering the shows in an awesome super saver package that delivers the lowest price this year and the greatest show locations and more than 70 years of book show exhibit experience.Limited space available for each show, so please get registered soon. Please click the link below to find additional information that includes a sign up form that can be faxed for immediate registration. Or call me at 1.800.706.4636 ext. 1004 to register by phone. If you have any questions, please feel free to contact me through the information below. $75 second prize $50 third prize. * Individual winners will be notified by mail. Include a SASE forcomplete list of winners. all course materials and refreshments. Crystal requests that anyone interested in submitting should individually request guidelines. This helps with her record keeping. The new deadline is Sept. 30, 2007. Let me know if I can be of help to you in this. The Creative Christians of West End Assembly of God are holding a covered dish dinner theater event on Friday, August 17th at 6PM. It is open to the public and the cost of admission is a Covered Dish. I wanted to pass it on because it will be a night of food, fun and fellowship with Theater as a bonus. Marti Berger asks that you view her invitation and let her know if you'll be able to attend. Click here to view the invitation. 2. Scroll down to July photo contest. 3. Click next to camera on July photo contest. 4. Scroll down to see the photos. 5. 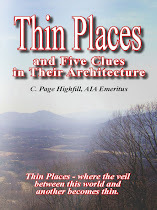 My husband's (John) is the first—“On top of Virginia’s World." All of the photos can be enlarged by clicking on them. 6. If you like it, vote for it—if you like another one better, vote for it. It is a fun contest, and a great way to interact with the wonderful site. While on the site why not read some of the articles by RCWW members.Blessings to all. Our next meeting will be July 15, 2007, 2:00 to 5:00 p.m. at Grove Avenue Baptist Church (one block south of Patterson Ave. on Parham Rd.). NOTE: Enter the rear entrance on the Parham Road side of the building. Look for the elevator on your left, go to 2nd floor, turn right when getting off the elevator, go to Room 211, Note new room number. Yvonne Ortega, Cancer Survivor, Inspirational Speaker and Author, will speak on What’s Next After the Book Contract, and will be signing her newly released book Hope for the Journey through Cancer published by Revell, May 2007. Yvonne has worked long and hard to bring this needed book to market. Please come out and help her celebrate this tremendous victory. At our June meeting, Barbara Baranowski, shared the story of a story she had written as a writing assignment. The assignment was to write a true story prompted by hearing, seeing, feeling, smelling or tasting. Barbara remembered a childhood incident about her then favorite perfume. After completing the assuagement she sought to get it published? Because it was reminiscent of her childhood she sent it to Reminicense magazine. A year later she contacted them and they said they would publish it but didn’t know when. In May she received a call from out of state asking if she was the Barbara Baranowski who wrote the article about the perfume? Since that initial call she had received as many as a half dozen calls from around the country. This has been exciting for her. I related a brief story of writing an assignment last November for a creative nonfiction class on Letting Go. I was asked to speak at a Seniors Luncheon and thought it an appropriate piece to share since we seniors are almost daily having to let go of things we have cherished over the years. A lady in that group asked me if I would put the message in a sermon format and preach it at her church. And at our June meeting, an RCWW member, said she might like me to present that same message to a group at her church. 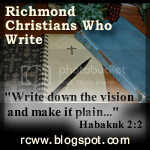 What does Richmond Christians Who Write mean to me? RCWW will have a table at this event. If you have books to sell, contact me. I will be there and i will need a ride to and from. I look forward to seeing you on July 15th. Bring a friend; they’ll appreciate it. God is so good!! Just in the midst of me having doubts about my writing ministry, I receive an email that made my day. The editorial assistant with Devozine (published by Upper Room) sent me an email to let me know that one of my devotions was accepted for publication!!! Wow, this is so great. Although I've been published with DevoZine three other times, this was super great news because I sent them devotions almost a year ago and I thought nothing of it when I didn't get a response. This acceptance is the confirmation I needed. Therefore, I will continue to press towards the mark for the prize of the high calling of God in Christ Jesus (Philippians 3:14). A new journal is calling for submissions. Cec Murphey, who has visited RCWW, has lost his home and son-in-law to a fire. Keep him in your prayers, and click the link to find out how to donate. I have just received a reply from Crystal Murray, who is still planning to publish Good Morning Christian Writer, "a compilation of 366 daily devotions for Christian writers, each of which will be followed by a short writing exercise. The devotions will run from 150 to 250 words and the exercise from 150 words" (quoted from the email you forwarded to us on 8/3/06). This is the one I mentioned Sunday at RCWW. The deadline has been extended beyond the February 27 that I reported. "I will go ahead and re-date the deadline to April 30th if you tell your group and I will try to get the blog updated to reflect that tonight." Check her blog: Good Morning Christian Writer for guidelines and samples. Her email is: morningwriter@gmail.com. I am forever grateful to Gina Welborn of RCWW for providing this tool. It's a MUST tool for writers, in my opinion. Once you use it you'll wonder how you ever got along without it. And it was there all the time! Thanks for a great meeting. Isn't it wonderful to have so many people and bask in their knowledge and encouragement?! I have been a member of American Christian Fiction Writers (ACFW) for almost three years. It is because of the education I received from the ACFW members that I completed my manuscript. ACFW has grown to over 1,000 members in the past two years and because of that growth is establishing local chapters for ACFW members, authors, to personally connect and support one another. Stacy is coordinating and leading the Richmond chapter which we are just establishing. I would personally encourage your members who are seriously pursuing writing to come check us out. American Christian Romance Writers changed to American Christian Fiction Writers a couple of years ago, which is why we have grown and continue to grow. The change opened the door for many men to join also. ACFW has a conference every fall, September, that is one of the largest and best offered. We have many successful Christian fiction authors as members who help educate and support all of us newbie authors. IMHO there is no better or stronger group of Christians to be a part of. Our next meeting will be February 18th, 2:00 to 5:00 p.m. at Grove Avenue Baptist Church. NOTE: Enter the rear entrance on the Parham Road side of the building. Look for the elevator on your left, go to 2nd floor, turn right getting off the elevator, go to Room 219. "I'm the owner/developer of a new faith-based web site in Richmond, SpotlightRichmond.com. We have a Faith & Values section on the site. We would welcome stories, poems, etc. from your RCWW members. We officially launched at the end of September - had 92,000 hits in October. "I'll explain the mission/vision of SpotlightRichmond.com, and invite all interested writers to contribute as they feel led. There are a lot of writing opportunities. They can contribute their own work that we'd put under the Christian Author section on faith and values, content on any of the special areas of family, health & wellness, business (making dreams happen), book reviews, scripture reflections and Making A Difference stories about local people and groups. We are also open to new ideas/new sections for the site. "I plan to talk about the Random Acts of Kindness Celebration going on now. I need help with this journal and am hoping RCWW members will be interested in helping with this short-term project." Come and hear Karen outline these writing opportunities and tell of her need for regular submissions (of all kinds) for SpotlightRichmond.com and more! It has been some time since we've had a critique session. If you have a short article, portion of a large article or excerpt from a book, bring six to eight copes, typed, double-spaced. We will divid the group into as many small groups as space will permit. This procedure may allow us to give more in-depth critique to more people. At this meeting I asked for those in attendance to send me a brief statement of the suggestions they offered. It is my intentions to review these suggestion and take them to our next planning committee. To date, only four have responded. Joe Anderson suggested taking all the suggestions and use them as a basis for planning an entire year. This is the ideal, but I need to hear from more of you as to what you want/need from RCWW. If you have suggestions, please e-mail them in the body of an e-mail or pdf attachments only. My Mac will not open most PC attached files. If you are not on line, please mail them to my house. Or bring them when you come to our February meeting. This poetry workshop will be held April 14, 2007, from 9:00-Noon. Our speaker/instructor will be Florence Rosie Givens, local author, editor and publisher of three books of Poem Collections. Here are the remainder of the dates for 2007: Mar. 18, Sat. Apr. 14 1/2 day poetry workshop, May 20, June 10 (2nd Sun. to avoid Father's Day), July 15, Aug. 19, Sept. 16, Fri. & Sat. Oct. 19-20 possible writers conference or Sun. Oct. 21, and Nov. 18. Dues, in the amount of $20.00 will cover membership from January 1st through December 31, 2007. They may be paid at our monthly meetings or mailed to: Richmond Christians Who Write, 12114 Walnut Hill Drive, Rockville, VA 23146. If you know of writing conferences, workshops or any events of interest to writers, please send me complete details so the information can be passed on to our members. To date only about four have signed up for this writing challenge. My goal is to sign up 20 Marble Movers, but that is not to say it is limited to 20. Last year I did not accomplish my goal of enrolling 10, but riding on the heels of the success of the seven who did sign on (six were published for pay and one entered a legitimate major poetry contest that will not be judged until Spring) I doubled my goal. 1. The ultimate aim is to take Five Action Steps, however small, FIVE DAYS EACH WEEK that will move you toward the accomplishment of your main goal. TO BE PUBLISHED FOR PAY by June 30, 2007. 2. Commit to practice the rule for five consecutive days then ask yourself: What could I accomplish if I moved five marbles daily? 3. Tell me about it. Listen carefully to my guidelines. If you don't follow them, you will disqualify yourself from being a Marble Mover. My aim, however, is not to disqualify anyone, but if you are not committed to the program you will not accomplish your goal. Now may not be the time for you to be a Marble Mover, but try it for five days and see how well you do. Only then can you rightly decide if you are ready for the challenge. My goal is to motivate at least 20, unpublished, dues-paying, RCWW members to publish one or more articles for pay by June 30, 2007. I'm looking for unpublished-for-pay RCWW members who are committed to applying this principle by consistently moving three or more marbles, on a daily basis, from one pocket to the other toward getting paid for publishing one or more articles by June 30, 2007. You qualify by practicing this successfully for five days and then telling me by e-mail what you have accomplished. RCWW members not online must call me to register: 749-4050. I want to help serious writers. I can only accomplish my goal through committed writers. Disqualification: If you consistently transfer less than three marbles per day you will, in effect, remove yourself as a Marble Mover. Marble Movers most send me a weekly list of their progress. I look forward to seeing you on the 18th. Bring your ideas. Bring your commitment to be a Marble Mover. Bring a writer friend. Karen Hannon, developer/operator of SpotlightRichmond.com, will speak to us February 18th. She was looking forward to being with us in January. She asked me to inform you she had a time-sensitive writing opportunity that also involves a community activity. She is tapping into National Random Acts of Kindness (RAK) Week, February 12-18. "I wanted to tell everyone about the Random Acts of Kindness Celebration. Details are on the site: SpotlightRichmond.com. Quickly - there are 3 phases: 1. Individuals and/or groups commit to doing 3 acts of kindness during RAK week, Feb. 12-18. 2. They are asked to report, in writing, about past or future acts of kindness projects completed or planned. 3. Then from some of those stories we will create the Metro Richmond Region Random Acts of Kindness Journal. "Help is needed with the journal. I'm hoping some of your members are interested in taking on this short-term project. We're busy selling sponsorships for the contest. The journals will be sold with 100% of the proceeds going back into the community in support of more acts of kindness projects. "If successful with securing the sponsorships, there will be money available to pay the writers who help put this journal together. I can't guarantee payment, but I can promise that if money comes in, it will be shared with everyone who contributes their time and talent. "We're going on faith - praying, listening, trying to act as we feel led. We're excited about this project and keep imagining what Richmond will feel like - look like - if we can get thousands of people choosing to do 3 acts of kindness that week. "Thrilling - and you know that we can't out give God. Kindness is always returned - so what other outcomes could we see? "This journal will very important as a permanent record - a source of encouragement - and a way of generating $50,000.00 that supports more good works. "Here's my thinking. 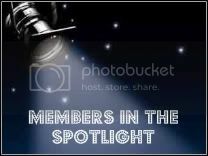 Starting Wednesday we need people adding content to the SpotlightRichmond.com site. Individuals and groups need to tell their stories. Now "story" can be a few sentences with or without a picture or a picture with a caption. We are expecting a huge response so we don't want long stories. People get busy and won't send them in if they are expected to write long stories. But if someone called a church or group they are already involved with, and wrote that short story, we could get that on the site and people would be encouraged and maybe get an idea for a new project with people they know. We need your suggestion here. "I say Wednesday because on Monday pastors will be receiving an e-mail asking them to do this (send us their stories). So if people started calling their church and others on Wednesday, that might be good timing." For questions and suggestions, call Karen Hannon: 874-4591. Karen will be out of the country until January 28th. Well, Tom, it's been the longest dry spell of my 25-year writing life. At times in the past 18 months, I thought I'd never be published again. This followed the death of my mother, a part of grief I never would have expected. Clark. I wondered what was up. When I finally got around to opening the envelope, I was stunned to see a letter addressed to "Dear Author," thanking me for my contribution to this month's Focus on the Family Teen Phases magazine. I looked through the magazine, completely puzzled, having no memory of submitting anything to them. But there on the next-to-the-last page was a paragraph I wrote (who knows when) on "Celebrating heritage." It detailed how our family celebrates "Gotcha Day" each July since that's the month we adopted each of our children, three years apart. No pay for the piece, but it did more to encourage me in writing than any royalty check I've ever received. Maybe the dam has finally broken and the words will once again start to flow. I think I may have heard of this writing opportunity on the CWG list ... or maybe from you when you passed it along to us. Do you remember? Our next meeting will be January 21st, 2:00 to 5:00 p.m. at Grove Avenue Baptist Church. NOTE: Enter the rear entrance on the Parham Road side of the building. Look for the elevator on your left, go to 2nd floor, turn right getting off the elevator, go to Room 219. Our previously announced speaker, Karen Hannon, owner/developer of a new faith-based web site in Richmond, SpotlightRichmond.com, is out of the country this week and will not be able to speak to us until our February 18th meeting. However, in a subsequent post, I will outline a writing opportunity that was to be a part of her presentation. Look for my post on the Random Acts of Kindness (RAK) contest. A current popular trend in the writing/publishing business is the need for content-driven rather than author driven material. This gives unknown writers of pertinent subjects a greater advantage in becoming published. Many in our group are writing memoirs and devotionals. I will show how these can be marketed to publishers and packagers. From time to time I've asked for in put from the group regarding the needs you have as writers. I meet periodically with a small group for this same purpose. And I appreciate the suggestions/recommendations. "Tom, we don't have any suggestions because we're satisfied with what you are doing." "Tom, RCWW is one source of information and encouragement for me; I don't expect RCWW to meet all my needs. It is neither possible, nor necessary for you to try to do this." Thanks, folks for those kind remarks. However, I often feel I am not doing enough to help writers write and get published. It may be I'm guilty of focusing on what I'm not providing for RCWW and missing what is being done effectively through our cooperative work with one another. Two areas I feel RCWW is the weakest revolves around critiquing and meeting the needs of our poets. On Saturday, April 14th, we will have a half day poetry workshop. Details follow regarding this event. In the meantime, please think on these matters and bring your ideas and suggestions to our January meeting (in writing if possible). October 19-20, Friday & Saturday possible writers conference, or Sunday Oct. 21 and Nov. 18. I look forward to seeing you on the 28th. Bring your ideas. Bring your commitment to be a Marble Mover. Bring a writer friend. Your Guide to Marketing Christian Books by Sarah Bolme, foreword by Sally E. Stuart, is the essential handbook for marketing books in Christian marketplace! This book equips publishers and authors with specific resource names and contact information for promoting books in the Christian marketplace. Material in the book includes information on launching books, selling books, and special markets. While many marketing books list some Christian marketplace sources, until now there has been no comprehensive guide for marketing books in the Christian marketplace. The book's foreword by Sally E. Stuart, author of Christian Writers Market Guide, states you can trust the author and follow the path she has laid out with confidence. Only $17.99! Purchase your copy today! How did you come to know Christ? Were you a child who came in innocence or an adult searching for meaning in life? Did you come to Jesus purposely, or meet Him accidentally? We are all saved by faith in Christ and the grace of God, but how we arrive at that moment is a very personal event. No two believers have the same experience. Our salvation experience is God’s first gift to us as new believers. Even a brand new believer has a personal story to tell that can impact others for Christ. Our story is our witness to the world, and God wants us to share it. In order to shares these salvation stories, I am compiling and publishing an anthology. I am searching for approximately fifty stories, of all types from miraculously amazing to whisper quiet, from all kinds of believers. The authors of stories selected for publication will receive a gift copy of the finished book, which will also be available for purchase through Amazon.com, Barnes and Noble and other major book outlets. If you would like to share your story, please start by reading Helpful Hints for Preparing Your Testimony, listed below. Submissions: deadline February 23, 2007 for late summer release. 1. Please limit the length of your story to no more than 2000 words. 2. Please type and double-space your story; if you are sending your story by regular post, type on 8.5" x 11" white paper. 3. Include a cover sheet with your name, address, phone number and e-mail address. Put your name and a page number at the top of each page of your story. All contact information will be kept strictly confidential. 1. Ask God to give you wisdom and guidance as you write (James 1:5,6). 2. Divide your story into three major portions: life before Christ, how you met Christ (be specific), life after Christ i.e. how your life has changed and what He means to you. 3. Include relevant Scriptures and references. 4. Please do not speak negatively of organizations or people; avoid mentioning specific denominations; try not to use terms that non-Christians may not understand, such as “sanctification” or “salvation by grace” unless you fully explain what they mean. 5. Make sure that it is clear in your story that Christ is the only way to eternal life (John 14:6), however it is not necessary to explain salvation by grace as there will be an appendix to the book explaining salvation with attendant scripture. Details about this writing conference can be found at WriteHisAnswer.com under Writing Seminars. Be sure to check out the first and second pages of the brochure. More and more writers are opting to self-publish. This is a venture (option) I'd suggest you consider seriously before taking that step. My remarks are neither for nor against self-publishing. My remarks are simply words of caution. Know what you are signing before you sign. I pass these notices along to you so you can be informed as to what is available in every area of publishing. This is a part of the business-side of writing. RCWW is an ACW Chapter. Due to popular demand, I will be extending the deadline for the 1st Annual Faith and Values Screenwriting Competition to February 1, 2007. Note that this a POSTMARK deadline. Ambassador Communications Inc., the home of Christian screenwriting and the Christian Screenwritersâ€™ Newsletter, invites you to enter the 1st Annual Faith and Values Screenwriting Competition, honoring the best in faith-based TV Series Pilots and Feature Length Screenplays. In addition to monetary prizes, we have prizes from great sponsors like Deepfeedback.com, Scriptcopier.com, Hollywoodlitsales.com, Soyouwannasellascript.com, and Faithwriters.com. The winning scripts will be considered for representation by a WGA agent and will be read by Fox Faith and ten other faith-based production companies. To enter the contest, please log on to http://www.ambassadorcommunications.biz/faithandvalues.html or email info@ambassadorcommunications.biz or call 204-292-4095. Thanks very much and I'm looking forward to receiving your scripts! Rita Gray was an active member of RCWW until moving to Baltimore, MD because of her husband's job change. Her writing has grown out of her son's battle with cancer. Chad was a Make A Wish Fojdation Winner several years ago. Many in our group have a similar situation. You might want to buy her book to see what she has done, but more importantly her book will show you what publishers are buying. Thanks be to God for his faithfulness! The release date for the workbook is January 21st. The website is http://www.carepointministry.com/resources.html. I don't have the exact price for the workbook yet but will be taking pre-sale orders shortly. I will e-mail you again once I know the price. Please reply letting me know if you are interested in placing a pre-sale order from me. Again, thank you for your faithfulness of praying me through the writing of this workbook. As we close out 2006, I did not reach my goal of enlisting ten Marble Movers, but the 7 who signed on did themselves proud. They did all earn money (which would have been nice) but all made major strides in advancing their writing careers. Therefore, I'm a winner by proxy. I think your rule of 5 challenge was the best thing you could have done for this group. It has motivated members of RCWW to take their passion for writing to another level. They in turn have inspired other RCWW members to aspire to write for publication. As a result, we have been celebrating the accomplishments of published Richmond Christian writers for the past few months. In response to your challenge this summer, I signed up to be a marble mover. For the first few months, I was diligent about recording my efforts. I was doing pretty well until school started and I had to focus much of my attention on my children's school work and extra curricular activities. I believe God honored my commitment to honor my God-given priorities as a wife and mother over my desire to write. I continued to work toward my writing goals when I could, but it did not add up to 5 marbles a day. However, my efforts were not in vain. I have been hired to work as a full-time ghostwriter. I wrote an article that will be published in a Christian magazine in the Spring. My name will not be on the byline because it was part of my ghostwriting services, and I am okay with that. I am getting paid to do what I love - using my passion, talent and gift as a trained Christian writer to share God's message of hope, restoration and life. Thank you for being the impetus for the RCWW marble movers. To God be the glory.